If you think herbs are only for hot tea in the winter, think again. 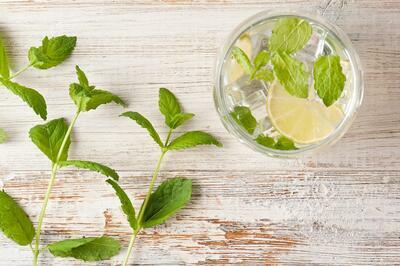 Summer is the best time to enjoy the refreshing kick of mint or lemon balm. 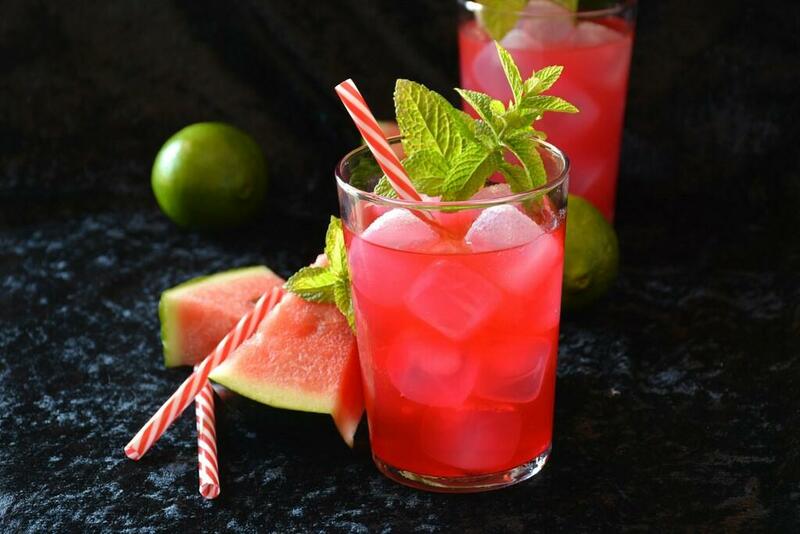 Take the edge off a hot summer day with a cool minty drink. Could you imagine a good mojito without mint? But herbs can be used to spice up non-alchoholic drinks as well. It is becoming more and more popular to use mint or lemon balm with ice water, with lemonade, or as an ingredient in a fresh juice recipe. Mint leaves contain menthol oil, which provides a cooling sensation. That feeling of freshness is why mint is common in mouthwash or chewing gum. Before the advent of modern medicine, people treated various maladies with herbs from their gardens. For example, mint is antispasmodic and anti-inflammatory, and helps aid digestion. Lemon balm has a soothing effect, and can help with insomnia. If you are getting tired of the same juices, you can liven them up with some herbs. 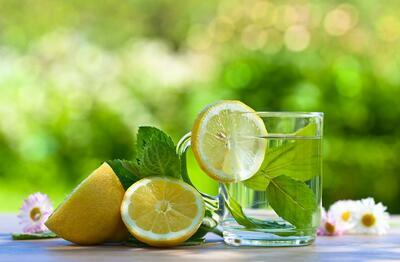 A little secret that restaurants use is to put a little mint or lemon balm in water. Why not try this trick at home – put it in a pitcher of ice water and see what your family or friends think. Not everyone has a garden, but fortunately these days fresh herbs can be bought even in the supermarket. This is a great short-term source of fresh herbs, as you just pick the leaves that you need. These plants are nursery-grown, and will usually only a last a few days in their pots. If you have a warm balcony, put them there and keep them well-watered to extend their lives. If you want long-lasting herbs, it is best to buy seedlings from the nursery. If you have a garden, the best way to have fresh herbs is to grow them there from seed. Choose a sunny place and they will practically take care of themselves, since they are both so hardy. In fact, sometimes you need to cut them back so they won’t crowd out other, less-hardy plants. How do you juice herbs? If you want to juice herbs in bulk all year long, the best machine is a twin-auger juicer like the Angel Juicer. In addition to being a great fruit and vegetable juicer, the Angel can also effectively juice smaller things like sprouts and tiny leaves. If you just want to occaisonally juice herbs or add some to your other juices, then really any auger juicer will do, especially a horizontal one. For herbs, the best juicer is the Sana EUJ-606, since it is equipeed with a variable pressure control to get the most out of herbs, as well as fruits and vegetables. With herbs, you can have fun experimenting with different combinaitons and amounts. But if you’re not sure where to start, here are three simple and proven recipes to help cool off that summer heat.